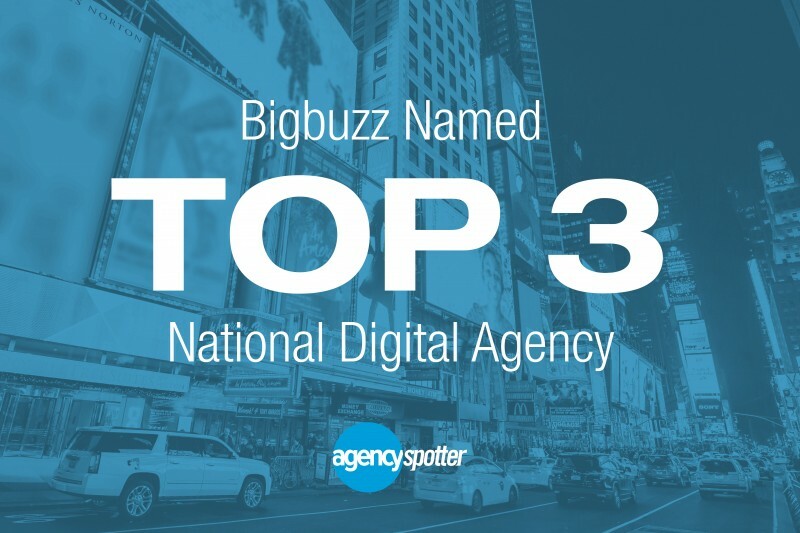 Bigbuzz was recognized in Agency Spotter’s Top 50 Digital Agencies Report in the #3 spot. Agency Spotter's report evaluated over 4,500 digital agencies from all over the globe including companies in Brighton, Sydney, Toronto, LA and more. Agency Spotter conducts their reports using their proprietary research methodology and uses ranking factors which include: competitive portfolio, project completeness, and client reviews.